There will be a climate camp and action days again this year The climate camp will take place from the 2nd to the 11th of July and the action days are the 8th and 9th of July. This year, both are dedicated to the Swiss financial centre, which is currently heading for a climate catastrophe with a warming of 4 to 6 degrees with its investments in fossil energies. 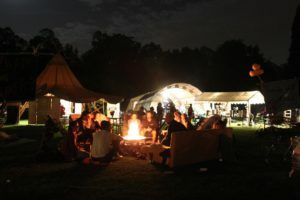 More information on where the camp will take place, what the action days will look like and much more will come in the coming months. 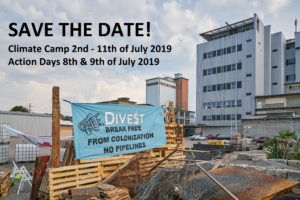 Write down the date, take a holiday and come by – together for Climate Justice!